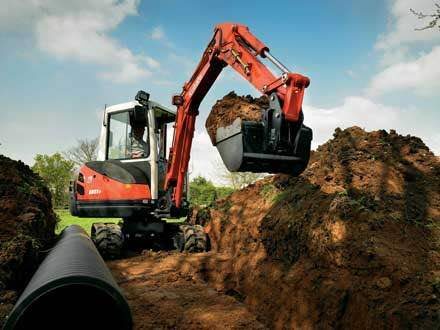 Specialising in groundwork for small construction companies and residential clients, you can think of us as your tool to get the job done in the most cost efficient way. We can manage your groundwork from start to finish or we are happy to be managed by you or your project manager. We can work your way but giving you input if you need it. “let’s get the job done and done right!” we have a vast shared experience in the business and are very used to adapting the way we work to suit all kinds of tasks set by our clients. From catch pits to concrete, or drainage to dykes, foundations to floors, we can do it! We also have local muck away and concrete companies who we work with closely to make sure we are always getting the best service, price and of course value. Our grab lorries always arrive empty and leave full, we search high and low online and the high street to make sure our materials are priced keenly so we can pass the savings forward to you, it’s service like this that make all the difference when you are working to a budget and we understand how important that is on every single project..
Camberley, Dorking, Crawley, Esher, Shirley, Kingswood, Cobham, Woking, Guilford, Caterham, Croydon, Oxted, Chobham, Edenbridge, Biggin Hill, Oxted, Orpington, Ashurst Wood, Westerham, Sevenoaks, Tonbridge, Tunbridge Wells, Horsham, Brighton, Croydon, Purley, Coulsdon, Haywards Heath, Burgess Hill, Epsom, Surbiton, Kingston, Bolney, Balcombe, East Grinstead, West Grinstead, Wallington, Carshalton, Brasted, Sutton, Whyteleafe, Peacehaven, Storrington, Pulborough.